May | 2011 | Keeping Wilderness WILD! Last month I had the good fortune to hear a lecture by Dr. Frederick L. Kirschenmann, Distinguished Fellow at the Leopold Center for Sustainable Agriculture, at a conference on food justice at the University of Oregon. In the midst of discussing several aspects of food justice – from environmental sustainability to energy consumption to human health to conditions for agricultural workers – Dr. Kirschenmann discussed how we can bring about the change needed to create an equitable and sustainable food system. He noted that in the book The End of Oil, author Paul Roberts made the point that bringing about the changes needed in energy policy worldwide would not be a matter of convincing the powers-that-be to make those changes. Rather it would require preparing for the inevitable change that will be forced upon us by dwindling fossil fuel supplies, pollution, climate change, despotic regimes, etc. The lesson for food activists is not to be worried about persuading beneficiaries of the current broken system to change. Rather, we should focus on developing alternatives that allow the system to adapt. We should focus on the doing ourselves, rather than trying to convince others to do it our way. What struck me about this idea – in addition to fostering a vision of change and action that we as individuals can achieve whether politicians, Monsanto, or Cargill ever find it in their interests to tag along – was how the Wilderness Act embodies the concept of planning for the inevitable before the crisis arrives in full force. to assure that an increasing population, accompanied by expanding settlement and growing mechanization, does not occupy and modify all areas within the United States and its possessions, leaving no lands designated for preservation and protection in their natural condition. In other words, Congress recognized that development and technology would soon extend to all corners of the country absent concerted planning and statutory intervention. If we sit back and let the inevitable pressures of population growth and economic development act unimpeded, little or none of our country’s landscape heritage would be left in its natural state. Congress’ solution was to designate large tracks of existing, relatively pristine federal public lands as Wilderness areas. Within each Wilderness, motorized and mechanized uses, commercial activities, and roads, new buildings, and other infrastructure would be prohibited except when consistent with, or necessary to, preserving wilderness character. Congress’ prescience in recognizing and planning for the inevitable march of development and technology is reaffirmed with each passing day. Wild lands, designated as Wilderness or not, are increasingly under threat of expanding settlement, the tentacles of technology, and economic enterprise. At one time, the agencies that manage wilderness could generally be counted on to understand and work to uphold the Wilderness Act. Now the four federal land management agencies—the U.S. Forest Service, National Park Service, U.S. Fish & Wildlife Service and Bureau of Land Management—seem increasingly to believe it’s their duty to bend and ignore the requirements of the Wilderness Act to accommodate desires for more structures, motorized intrusion, and excessive recreational use. Each of these trappings, so normal to life everywhere outside Wilderness, threaten to undermine the natural conditions Congress sought to preserve, and the legacy of wildlands unique to America and our history. Thus, the Wilderness Act provided the precise tool needed to plan for the inevitable pressures of change. It is now up to Wilderness lovers and our public servants to bring that plan to fruition and ensure our National Wilderness Preservation System is truly wild. 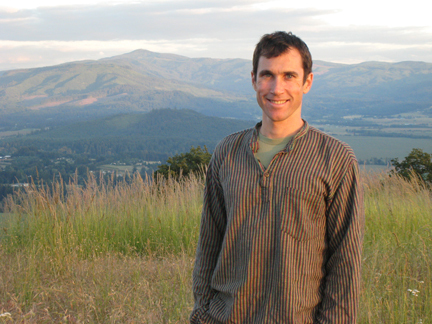 Jeff Kane recently completed law school and is a member of Wilderness Watch’s Board of Directors.